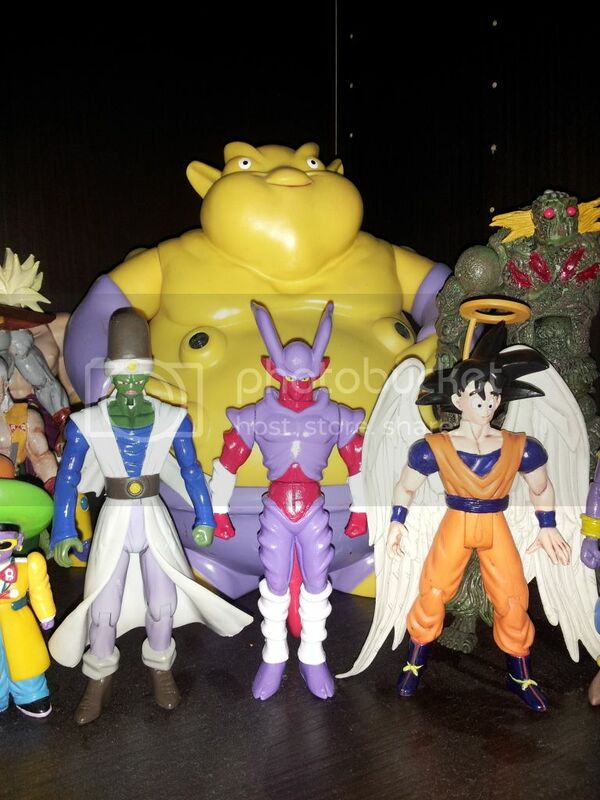 I prefer the Super Janemba form, but something about that figure always made me want one. The size, or just the obscurity, idk. I think I saw it in a Beckett DBZ mag the first time, and ever since then it was "most wanted". Man, I miss that magazine. 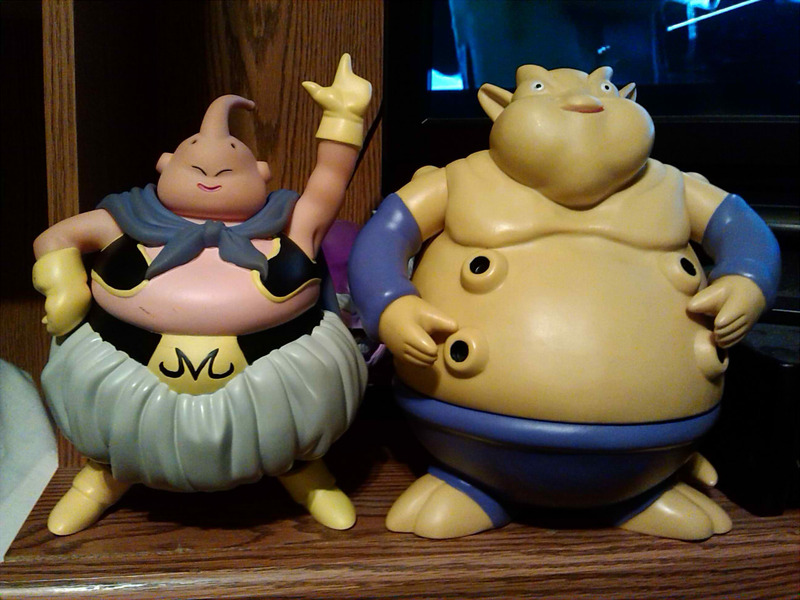 How's he look next to the Buu you got? The characters always kinda reminded me of each other. 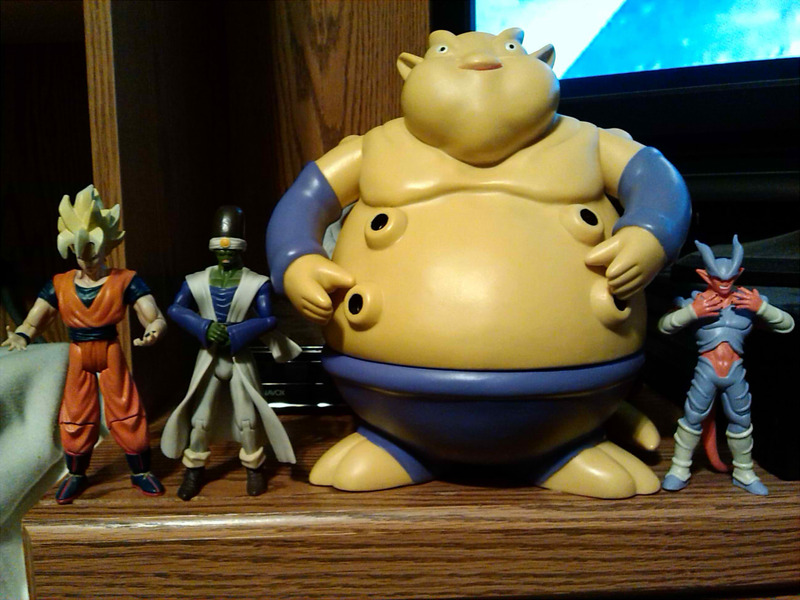 He's a little bit bigger than the Buu. They definitely favor each other in design. How tall is that fig again? 12"? Nice catch though. Must... be... written in... Mark's last will and testament...! Gohan, Janemba is about 9 inches tall. Thanks for the info mate! His arms move up and down right? Yep, just up and down, and the waist swivels. 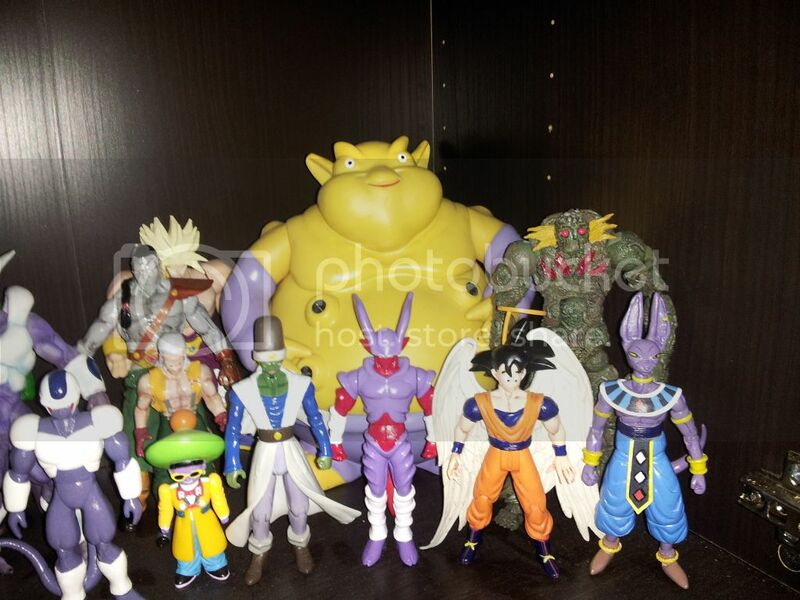 Marvelous Mark Can you take a picture of Jakks Pikkon, whatever Goku seems perfect for how he was dressed in the movie, AB Janemba, and AB Fat Janemba together in a pic? Man, I really like that Bills figure, Adrenaline. Branjita , here's what I got. Unfortunately I don't have an AB Super Janemba, but I put a bootleg Real Works one in there. Thanks. Need to clean up that dust. Yikes. next on your list should be the ab one because it is better especially in size! I definitely want one, just gotta find it at that right price on the Price is Right. Got these DeAgostini's today, from Caps! Nice catches there, i've been thinking of getting the gals of gt since they're the best looking ones imo. Great figures Mark. 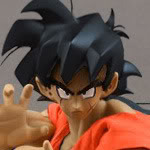 I agree with Gohan that the GT girl figures are very cool. Thanks guys. 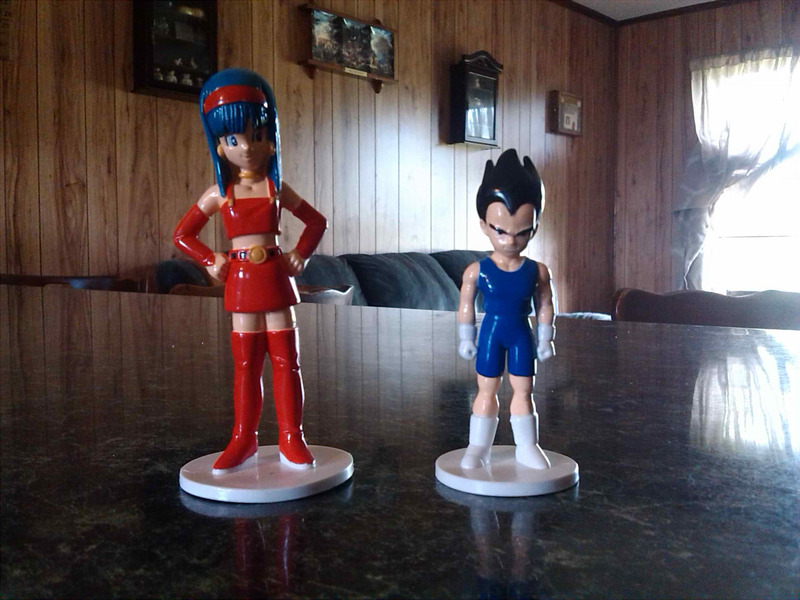 I still need to get a Videl and 18. I've been buying them in small lots unless I can get them for a good deal. I tried to get a complete set a while back but seller wouldn't ship internationally. Don't you hate that. Even if I offer to pay for priority with insurance and tracking some just will not post overseas.